Who is Signs By Chris? 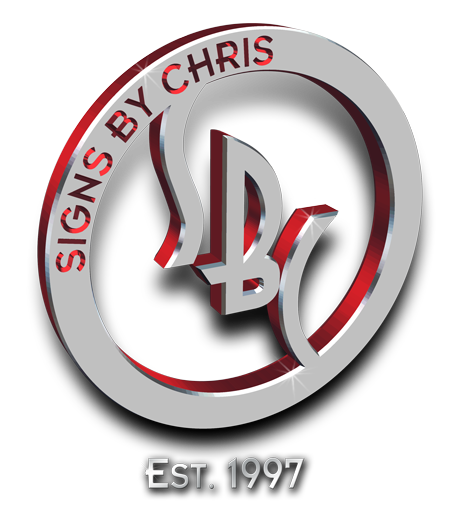 Signs By Chris is a Tampa, Florida based company specializing in custom and specialty non-electric signs and installation. We have productive relationships with many businesses local and nationwide allowing us to provide even the most obscure pieces to meet your needs. The business was formed because of the enjoyment that signs, displays and letters were for us and it has blossomed into an ever expanding enterprise, which simply expands that enjoyment. Personally the owners are Chris & Briget Hart. We were married in Gretna Green, Scotland during a trip to London & Paris. We made a short stop off, 23 hours, to Scotland. It was worth every moment. Check out our Gretna wedding.